I posted a couple of times fairly recently (1, 2) on the social revolution discussed by Andrew McAfee in one of his Enterprise 2.0 posts. In my last post, I probably went a bit too far, arguing that there doesn’t need to be a move from hierarchical organisational structures to networks. But in some ways, there does. Hierarchies and structures in general receive too much attention. As I wrote in my last post, leaders and managers tend to think about hierarchies when they’re redesigning organisations and teams, but it really isn’t the most important aspect of an organisation, and certainly isn’t the only one. So structures do deserve less attention, and networks don’t receive enough. As I also noted in my last post, I didn’t use to think about the network aspect of organisation design at all, but I certainly wasn’t the only one – and I suspect most people designing organisations today still don’t. We do need to put more emphasis on networks and I’ll describe why shortly. First though, to perhaps explain the point from my last post a little bit differently, I accept, and reinforce, that the social revolution requires more focus on networks. I just don’t believe it’s about replacement of one with the other. They both have their place within organisation design. Anne Marie McEwan’s comments on the same blog post resonate with me as well. I’d argue that the real change we need to make in organisation design (rather than how well organisation design is done) is a move from processes to networks. Processes are traditionally the building blocks of organisations. They specify how work needs to get done and accountabilities for doing this. And although I’m saying we need to move towards networks, I don’t think we should move away from processes. I think this is an area of organisation design that HR, and organisations in general, could be a lot more skilled in than they are. “One of the other examples of creating value HCM approaches I quite often use, particularly where I’m developing HR teams, is creating organisation capital through business process design. It’s a good example for a number of reasons: it’s a key area of organization design that many companies forget about; often no other functions have responsibility for it; and it calls on many of the skills that HR professionals already have. However, it’s also an area that provides HR with a wonderful opportunity to mark out their new role. Often the first time an HR business partner offers to support a business client to redesign their business processes, they get told to go away and come back once the manager has done the redesign, and they know how many redundancies they need. It gives HR a great opportunity to respond back that no, this is not what they mean. However, processes only work well for repetitive and especially production oriented work. They apply less well to work that is complex, changeable, knowledge based, creative, people focused and so on – ie to a rapidly increasing proportion of the work that people do today. What governs this type of work is the network. It’s who people talk to in order to get input, support or get things done. And it’s messy – it can’t be laid out in process terms. This is the main reason that networks are becoming a more, if not the most, important element of organisation design. So the shift isn’t from structures (hierarchies) to networks, it’s from processes to networks. Hierarchies can carry on pretty much as they have done before. But networks are different to processes – they can be designed in the same sort of logical way (see slide). I’m going to come back to post more about the analysis and design of networks shortly. Stay tuned for more…. On Tuesday I had the opportunity to talk with Thomas Stewart, author of ‘Intellectual Capital’ and ‘The Wealth of Knowledge’, about a presentation on ‘Capabilities’ – sources of essential – as opposed to transient – advantage that shape the right to win. I explained my current interest in social capital and asked Stewart which organisations he thought had strong capabilities that resulted mainly from the relationships between their people, ie capabilities built on social capital, rather than the people themselves, ie human capital, or processes, technologies etc. GE’s capability is leveraging its huge workforce. And you can’t do this unless people know each other. So GE creates communities to help mitigate the fact that it’s generally a fairly aggressive sort of place. So if you’re a management person, you’ll be a member of several different groups. For example, as an HR person you might be in the European HR community, the worldwide HR Reward community, and the HR community for the lighting business. These communities help people understand who they need to leverage to get things done. GE also moves people around a lot, and actively manages this process. The result of both of these activities is that you’ll know lots of people across the company. It’s a bit like a honeycomb – people get to know each other. To do this effectively, Booz needs to be able to get teams forming quickly and working seamlessly, getting people on the same page very fast. Booz pioneered knowledge management but it fell into disrepair and they got into bad technologies - their knowledge system was email sharing stuff on peoples’ hard drives. They’re now getting into 2.0 technologies. The firm’s new head of knowledge is called Director of Knowledge Sharing and Collaboration. And they’ve got a new site, including wikis and micro-blogging. These are used instinctively and naturally in their younger group who use them to build links and enjoy their activities, and it improves the ability of their projects teams. Some of the older Partners find it more difficult though. I asked about whether this approach focuses on sharing explicit knowledge, or whether the intent is to exchange tacit knowledge as well (as I wasn’t too sure whether Booz’ approach to sharing knowledge and collaboration was about social capital or just organisational capital – ie just the explicit stuff). So Stewart described how Booz are encouraging people to make their profiles deeper and richer, describing their other interests for example. They’re building ‘fuzzy information’ into their formal systems (given that they run what’s basically an apprenticeship system, it’s already all over the informal systems). And they need to build it into the culture harder. For example, there’s still very much a core group or inner sanctum which makes decisions for the company, and they need more transparency around this core group. In addition, the firm recognises that people can’t deliver if reward systems aren't set up to support delivery across practices and geographies. So you have to remove barriers and incentivise usage. 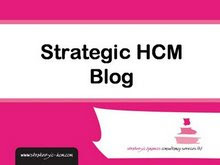 I’m doing more conference blogging this week (from the European HR Directors Business Summit at Strategic HCM). And I’ve just been thinking about Liene Stevens’ question in the recent Carnival of Trust: is ethical to publicly post content - that people are charging money for - to an audience that is not paying for it? Well, certainly in one way it is – in that I’ve been invited to the conference to blog. But I still think there’s a question over how much it’s OK to include, and I’m not sure what the answer to this is. Part of the issue is that we’re at a point in a process, where many people are now comfortable with social media usage at conferences, and others probably don’t understand what’s going on. So part of the what we need to do to answer the question is to educate conference presenters and attendees. We all need to understand the way things are now going to be (I don’t think there’s any way of stopping this unless conference organisers ask for mobile devices, cameras and computers to be handed in at the door!). Attendees will be exchanging thoughts about your presentation while you’re presenting and afterwards as well. These exchanges may be supported by pictures and videos of you presenting, and which you don’t know are being taken. These exchanges will be going outside of the conference room, and will remain in the internet after you’ve finished presenting too. If your slides are being distributed to attendees, these may end up in the public area too. People from outside the conference room will be providing their own thoughts on what you’re presenting. You may be able to get some input from these exchanges – either live or moderated / summarised. If you can get it, use it. At the very least, ensure there is time for Q&A and discussion. Audiences want to have their voice heard. This still doesn’t deal with the ethics point, but I think it reinforces the need for presenters to add value, beyond what’s contained in their slides or the text of their presentation. Of course, the biggest change may be whether presenters get to present at all. As I’ve blogged quite recently, I’m one of a large number of people proposing to present at this Summer’s Enterprise 2.0 conference in Boston. These proposals have been collected on Spigit and are being voted on right now (you can vote for me here). I’ve expressed concern about the value of this process, as, the way it’s being run, it comes down eventually to whose got the most friends, rather than what sessions actual attendees want to see. But I think doing something similar within a closed group of attendees, or within a closed population (inside an organisation for example), would be a really useful thing to do. Each of these different elements need to support each other, but if I had the choice, the first aspect I would want to work on would be the business processes. Why? because it’s the process that describes the work that needs to be done. Structure is simply the way this work is organised, through reporting relationships, once the business processes are clear. And the rest follows out of this. Of course, reflecting Josh’s second comment in my first post, there is then, typically, an ongoing battle against business leaders’ and managers’ tendency to forget about processes, and to think straight away in structural terms. Also, reflecting on my previous experience now, if I was still doing much organisation design work, I’d also want to think about the opportunities to put people first – and to design business processes that enable people to do work well (an HCM perspective on organisation design), but that’s another story (or blog post…). The point I want to make here is that what was missing from this list of elements organisation design was networks. I just didn’t see them as that important. Or perhaps that they couldn’t be identified or controlled. So I saw networks as a structural option but not a separate element of organisation design. Although I suppose if I had worked with an organisation to develop a network structure, I would then have had to go on to design the network. But this requirement never came up. This was and is clearly wrong. Networks need to be considered alongside people, processes, structures, and cultures as different and important aspects of organisations. And it’s not just organisations that structure themselves as a network that need them – they’re an important element of design for all organisations, regardless of their structure. The choice of structure depends on what’s most important for the organisation. So, for example, if they really want to emphasise the process aspect, then they can structure themselves along process lines. The fact is of course, that very few organisations do this. And so I would find that most structural designs I worked on ended up being a straight forward, or some adaptation of a, hierarchy. I expect I’d still find the same today – that even with the addition of networks to the overall organisation design mix, it’s not going to mean that many organisations want to move away from hierarchical structures. They’re still going to want the functional clarity that hierarchy provides. And there’s no reason why they can’t manage, or at least influence their networks, and have hierarchical structures too. Networks aren’t an alternative to hierarchies (meaning structures). They’re two different aspects of organisation design. We don’t want to move from hierarchies or other structures to networks – we need both. I suppose what many people mean when they say that networks need to replace hierarchies is that more network structures should be used. And to an extent I agree with this. Structure is about how work gets managed. So if you want your networks for to be self-organising and –governing (as McAfee suggests), you’ve got to include networks as a basis for your structure. But even then, I’d suggest most most organisations are going to want to add the network as an additional element of their structure, ie as part of a matrix, rather than to introduce a network structure as a replacement to their existing hierarchy. This would be mean splitting the management of the organisation along network and eg functional lines. One dimension would provide the strong corporate hierarchy and the other dimension allow a degree of self-organising and –governing within the network. I’d also add that that changing structure is never enough to change the way an organisation works. And to change the way that people work with each other, and that work gets done, we need to redesign the networks, or at least the way the networks work, more than we need to redesign the structures of our organisations. Plus remember that organisation design is only one of several different enablers to bring about the social revolution. So this revolution really has very little to do with moving from hierarchical to network structures. I’m going to come back and post more about this later in the week. You may have read my earlier posts on HR’s role (or non-role) in Enterprise 2.0 and the Social Business (eg these posts on Next Generation HR, and my review of Andrew McAfee’s Enterprise 2.0 book). The reason for writing these posts is that I do believe HR has a useful role to play – not just in terms of organisation design (including social networks and organisational hierarchies), but in selecting the right people, developing them, creating the right environment and culture and so on. And probably even more important than this, in facilitating the right sort of strategic conversation that focuses on social outcomes / social capital (collaboration, innovation etc) rather than just social activities – which is where I think IT is getting it wrong. My proposal is languishing about half-way down the voting league, and some proposals are being heavily gamed ie are being voted for by friends and colleagues who I guess have little interest in E2.0 or attending the conference etc. So I guess if I’m going to have any chance of presenting there, I’m going to need you to help me play the game. I need your vote (which for some reason is called a spig). 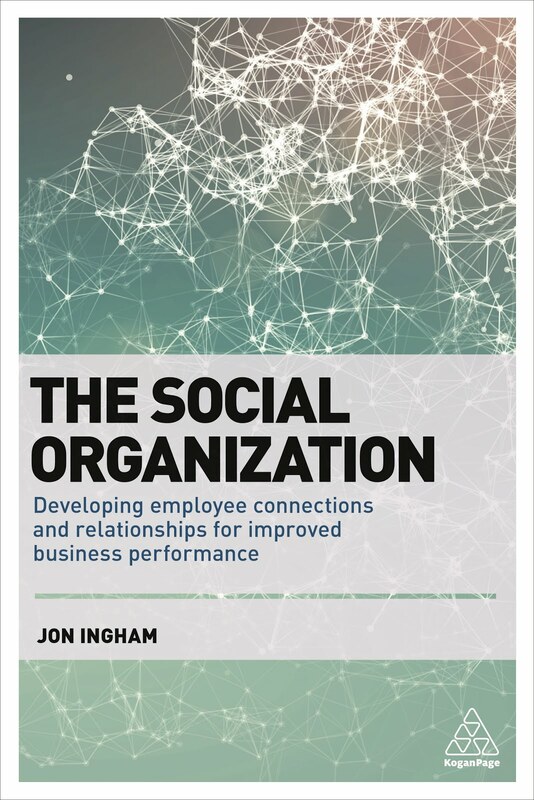 If you’d like to see HR having an input to the E2.0 agenda, and have me show IT how HR can help Connect the Dots in the social business, please visit the ‘spigit’ site, register, and vote for my proposal (please!). We’ve got till next Wednesday January 20th. I’ve been talking to Josh Letourneau, sourcer and executive search consultant come social network analyst following his recent and insightful post ‘Social Capital… is about to change the world‘ in Ryan Leary’s equally interesting 2010 Recruiting Carnival series). It’s not that I disagree with Josh – I think he’s made a very thoughtful and considered statement, that I also consider to be true. But as social networking has been growing into a more popular theme, I’ve also seen a lot of people going a lot further than this – basically suggesting that hierarchies should be binned and that networks should be monitored / managed / influenced in their place. “Do we agree that a social revolution is taking place in business today? That corporate hierarchies are being replaced by self-organizing and -governing networks? If they are, I haven’t seen it. I’ve seen plenty of examples where formal org structures have been supplemented by informal ones (whether tech-enabled or not). It’s also quite common for formal, pre-defined business processes to be supplemented by ad hoc and emergent ones, especially when the formal ones aren’t working perfectly. Every time this happens, it’s social. But it’s not revolutionary. It’s not even new. To me, the social revolution that I believe is starting to impact organisations is about recognising the importance of – and then investing in – the relationships between people, as well as the people themselves. It’s a revolution in the same way that HCM is a revolution (the people revolution) - they both put intangible organisational capital at the centre of business strategy, and align people and organisation management processes behind this capital, rather than to just achieve short-term business ends. The people revolution puts human capital at the centre of business strategy, the social revolution extends this to social capital too. Most organisations manage their people very poorly. They use up human capital rather than accumulating it. But at least the management of people is something that they try to do. Managing or even just influencing relationships is something that most organisations have not even thought about as yet. So social capital’s more important, and it’s in a much worse state. Also see my recent post on moving from human to social capital. But changing things to start accumulating social capital doesn’t require throwing the baby (org charts, management hierarchies, reporting relationships and the other things McAfee mentions) out with the bathwater. My next point explains why (in my next post). This blog, Social Advantage, focuses on the opportunities that developing social capital, or the connections, relationships, and conversations taking place in an organisation, has on business effectiveness and competitive advantage. Trust is a concept at the very heart of this focus, and I’m therefore extremely pleased to host the January 2010 edition of the Carnival of Trust, managed by Charles Green of Trust Matters. Regular readers of this blog, and my Strategic Human Capital Management one, will know about the HR and Leadership Development carnivals I already participate in. This carnival is rather different. Firstly, although some people will have submitted their posts to the carnival, the intent is to publish the very best posts on trust within the recent period (from the perspective of the person hosting the carnival!). So a lot of these posts have been identified by the carnival’s co-ordinator, Ian Welsh, or from my own feed reader. Secondly, there is a desire to keep the number of posts down to a manageable number, ideally just 10. “While brands weigh the scalability and ROI of investing in relationships, as a consumer, I can assure you, a reasonable attempt at fostering relations is a noble and respectable endeavor. We’re no longer limiting relationships to friends, family and associates. As our comfort and interaction increase in social networks, the relationships we forge within each reflect our interests and aspirations. 2. Why do we trust the financial priests? Perhaps another reason that trust seems so topical is that unearned trust appears to have been one of the things which led to all the problems we’ve experienced over the last year or so. In this post, the BBC’s Robert Peston discusses the misplacing of trust in those overseeing the financial services industry (there’s a UK context to the post but I think it has relevance elsewhere). “We trusted the Treasury, the Financial Services Authority and the Bank of England to make the right decisions about the structure and stewardship of our banking industry - and they got it spectacularly wrong. Peston’s post raises a number of issues including who we give our trust to. But the question that occurs to me is how then do people earn our trust? And I love this post from Sharlyn Lauby which looks at this need to earn trust rather than giving our trust to others unconditionally. This is a slightly older post but is still topical having been included in this month’s leadership development carnival which provided the best leadership posts from 2009. “But I’ve been struggling with the concept of giving trust versus earning trust. I mean trust is a pretty big thing. Like love, respect, admiration, etc. I don’t know that we give those unconditionally. People have to earn them. By their actions and by their words. And, once you earn them…if they’re taken for granted or abused, they might be taken away. As in, losing a person’s respect. 6. Is it Okay to Twitter Workshop Content? I think Liene Stevens asked some important questions in the previous post, as we’re confronting new issues and sometimes individuals and organisations do get them wrong. This next post reviews 2009’s five worst (and most frequently committed) online faux pas that lie behind some some ‘major online etiquette train wrecks’ (examples of these experiences in other posts that Ian picked out include Adrian Flux Insurance Group, Dominos Pizza [of course], Eurostar, Greyhound, Saatchi & Saatchi / Toyota and Spacelocker. Also see this post on Samboy and recovering from a social media disaster). So if you’ve made a faux pas and / or experienced a train wreck, how do you recover from it? Well, one way is to make a good apology, but there’s often more to doing this than meets the eye. This post provides five well known social media apologies and some principles of a relationships building apology. “In relationships, things go wrong. Person to person or in business, mistakes and missteps can be life changing. A wrongly placed word or deed can bring in question what had gone without thought. Suddenly trust, integrity, honesty, sensitivity, authenticity and the core values that connect us are tested. Finally, one last post that isn’t about social media, and is rather different from the other posts I’ve assembled in another important way as well. Lessons, laws, rules and ideas all have their place but maybe we also need to approach trust and relationships in a new way? In this post, JP Rangaswami suggests that we need to build ‘covenant relationships’ and ‘stewardship’. This certainly sounds to me like a key component for Brian Solis’ new trust economy as well as governance of financial services, effective change management, disaster recovery and enterprise 2.0 adoption! “Everywhere around me I see more and more examples of situations where the core problem people are trying to solve is that of trust. There appears to be a lot of work being done trying to distil trust into something formulaic, data-driven. And this is good. Data-driven is good. Feedback loops are good. Abstractions and models are good. I hope you find reading this collection of posts helpful and enjoyable. Whether you do or your don’t, I’d value your comments on them below (on my Social Advantage blog if you’re reading this elsewhere). For more on trust see you may want to scan through some of these posts too: http://blog.social-advantage.com/search/label/Trust. Thanks to Charles and Ian for the opportunity to host the carnival and I look forward to reading further editions being hosted elsewhere. The best of 2009 leadership posts carnival has been published at Dan McCarthy’s Great Leadership blog. The carnival includes my post on Visa Europe, but my favourite of the 50 that are included is a great collection of resources 100 Lectures Every Leader Should Listen To from Online Classes.org. Do have a look at these and check out all the other great posts as well. I’ve spent a week or so away from social media, so I’ve got a lot of posting to do over the next few days. Or even the year before?